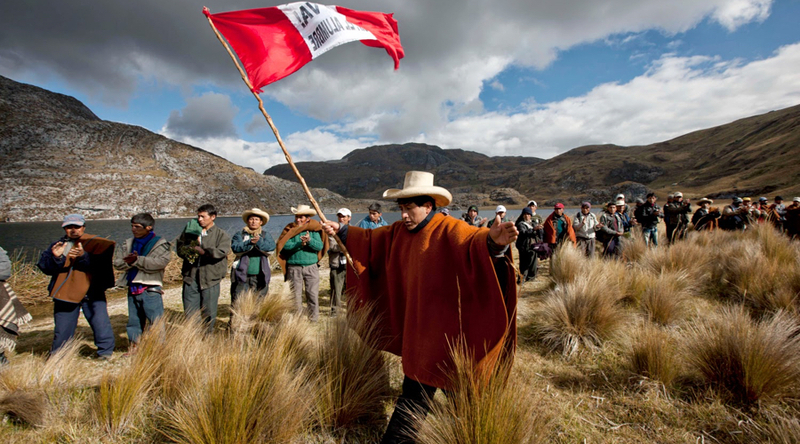 The Supreme Court of Peru has ruled in favour of a farmer that Newmont Mining (NYSE:NEM) claimed was illegally occupying land it wanted to develop into the Conga mine. The U.S.-based gold miner appealed a decision by a lower court in 2014 that ruled in favour of potato farmer Máxima Acuña. Community opposition to the $5 billion copper and gold project forced Newmont to walk away from it last year. Acuña, who has been at the forefront of the opposition against the Conga project since it was first proposed in 2010, was awarded the Goldman Environmental Prize. Newmont decided to halt construction work at the project in November 2011, after violent protests led by governor Gregorio Santos forced the country's government to declare a state of emergency. Minera Yanacocha, one of the two local companies working with Newmont on the now mothballed project, tried hard to win local support, but was unable to secure it. "I feel happy and relieved that here in the capital [the court] has also provided justice," Acuña said after the Supreme Court decision. Reuters reported Acuña saying her home was destroyed during the mine's construction. Minera Yanacocha took her to court for "usurping" its land. Output from Conga was supposed to replace production from the nearby Yanacocha mine, which is running out of gold.